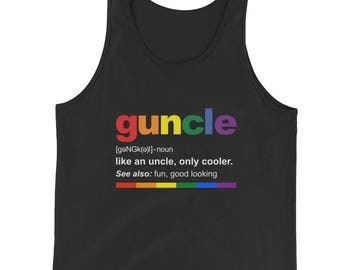 Does your gay uncle deserve a trophy? Let him know he's your #1 guncle with this shirt. 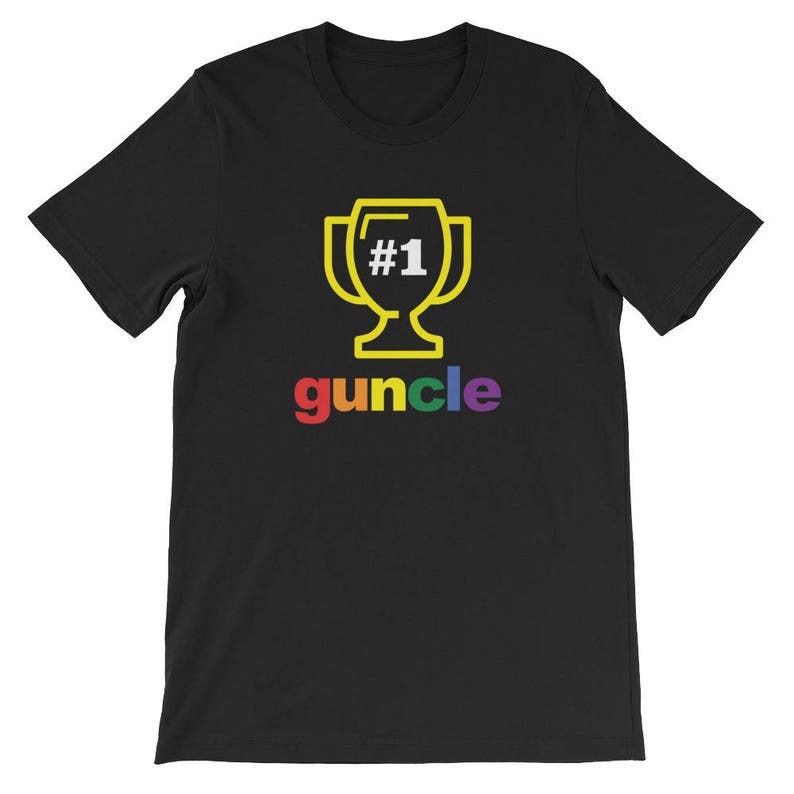 This trophy displays your favorite gay uncle's status as #1 with a rainbow-colored guncle he can be proud of wearing as a gift from his favorite niece or nephew. 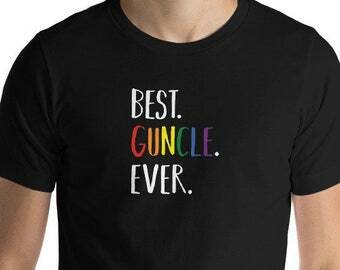 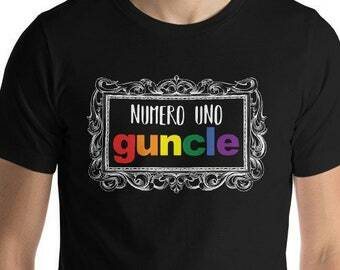 Treat yourself or a special uncle with this fun #1 prize winning trophy guncle shirt great for pride and family celebrations. It's the perfect gift for a new uncle from any niece or nephew. 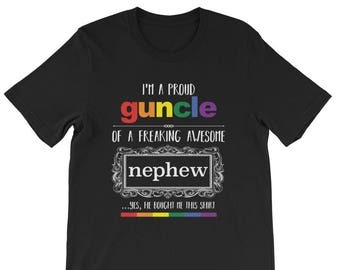 Surprise your brother with news of a new niece or nephew.